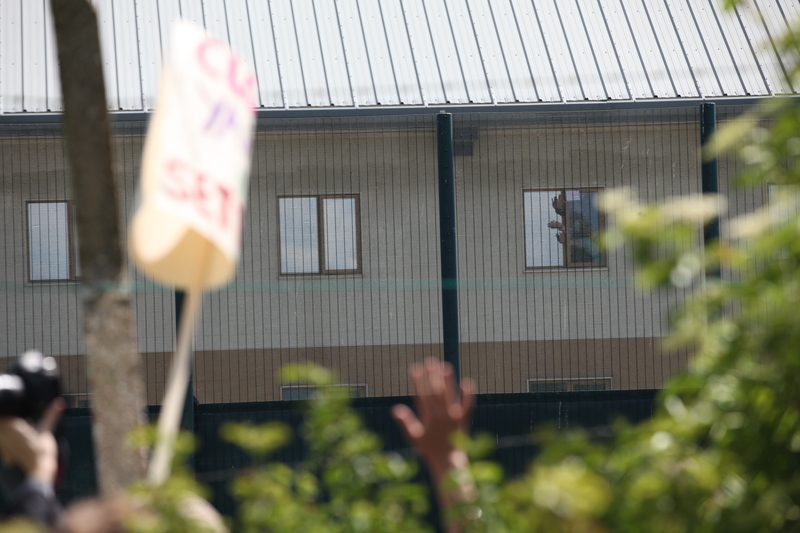 Hundreds of protesters came to Yarl’s Wood on 6 June to demand justice and dignity for women who cross borders, and the closure of Yarl’s Wood detention centre. 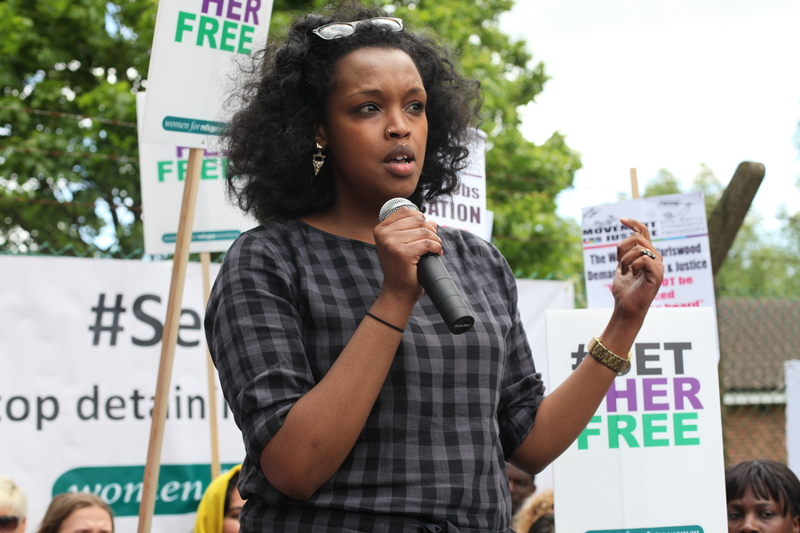 Before the protest, throughout it and afterwards Women for Refugee Women has been in touch with women who are locked up in the detention centre, and we talked to them about how they felt. We have changed the names of all current detainees in this blog. Sonia, 34, asylum seeker from Democratic Republic of Congo. 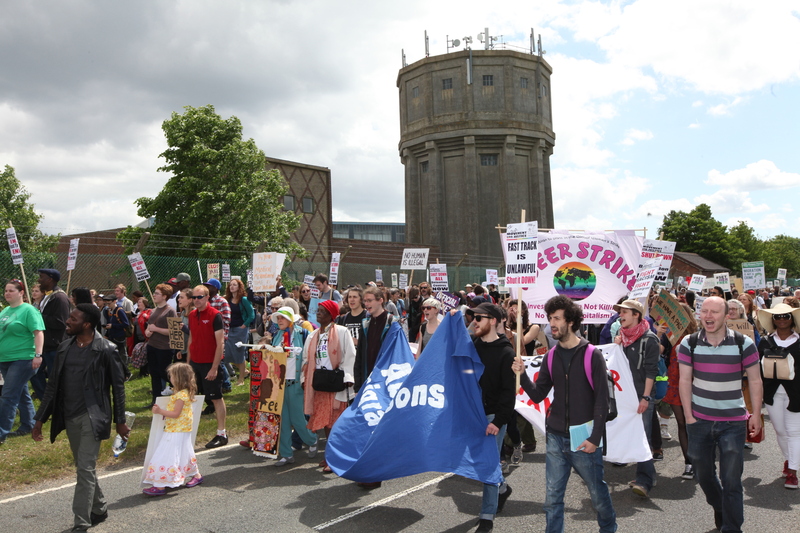 The protest started at 12.30, when coaches from Leicester, Birmingham, Newcastle, Bristol, Manchester, London and Bedford began to arrive packed with protesters. 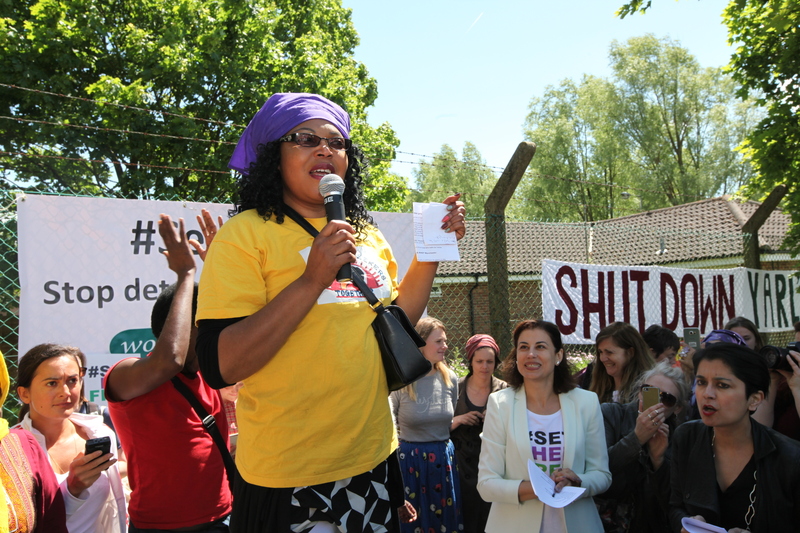 Women Asylum Seekers Together Manchester led the energy of the crowd, singing and shouting our demands to Set Her Free and Shut Down Yarl’s Wood. One of the first speakers was Lydia Besong, ex detainee, playwright and WAST member. 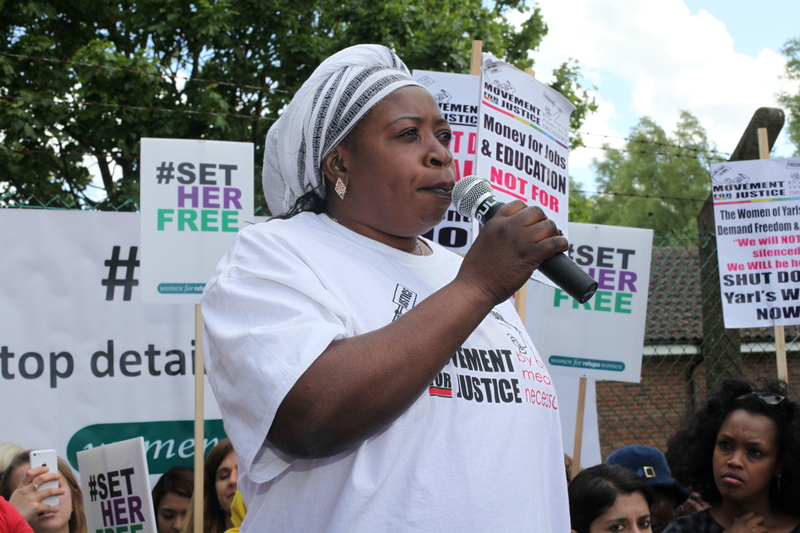 She spoke to the crowd and told us how important it was for her to return to Yarl’s Wood as a campaigner rather than a detainee. Other supporters who spoke included Rahela Sidiqi, refugee from Afghanistan and chair of the London Refugee Women’s Forum (far below); Zrinka Bralo, refugee from Bosnia and founder of the Migrant and Refugee Communities Forum; Romola Garai, actress and campaigner; Juliet Stevenson; Shami Chakrabarti of Liberty; Antonia Bright of Movement for Justice; Nimko Ali, anti-FGM campaigner (below centre); Richard Fuller MP for Bedford, and Maimuna Jawo, who is seeking asylum in the UK from the Gambia and was locked up in Yarl’s Wood (below). 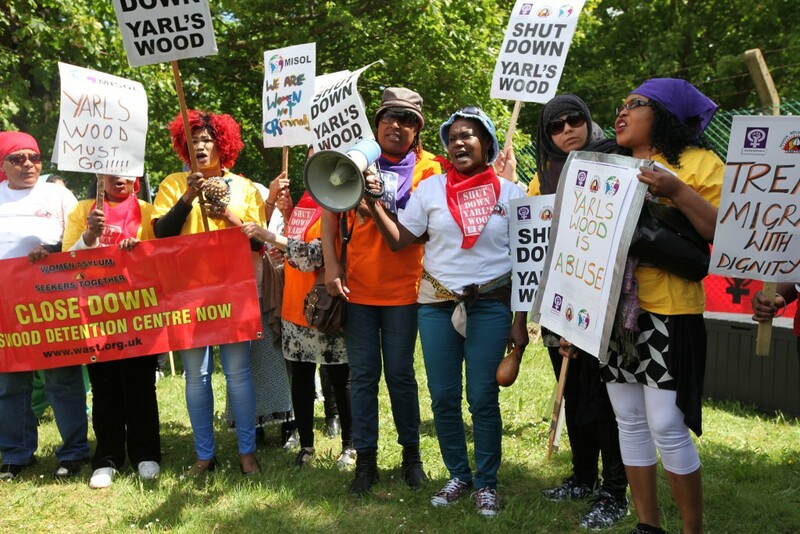 All the speakers were united with one voice to condemn the inhumanity of Yarl’s Wood. 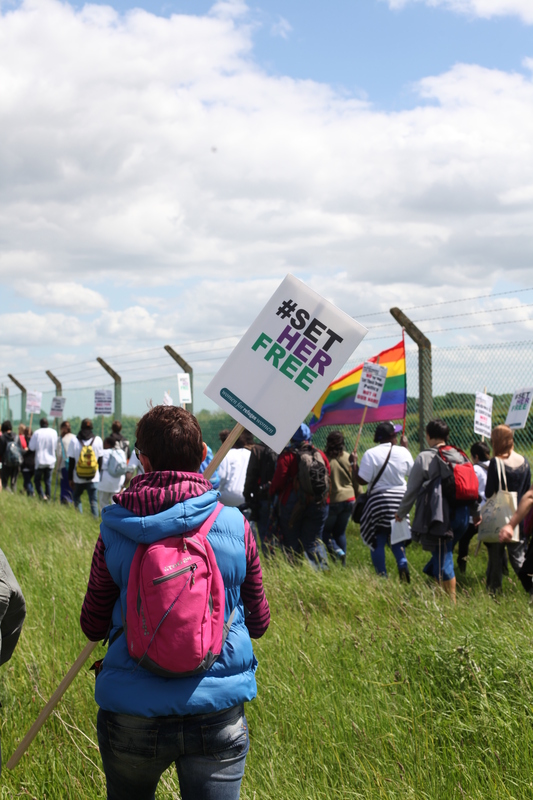 The most powerful part of the protest was when the 700 strong crowd walked round the perimeter of the fence and to the back of Yarl’s Wood, continuing our singing and chanting. Now the protesters could see the detainees waving their hands and pieces of clothing out of the windows. We won’t give up. Please follow us on Twitter or Facebook to learn about the next actions, or sign up to our email newsletter. The next step is a Parliamentary debate which we are hoping will happen in July. 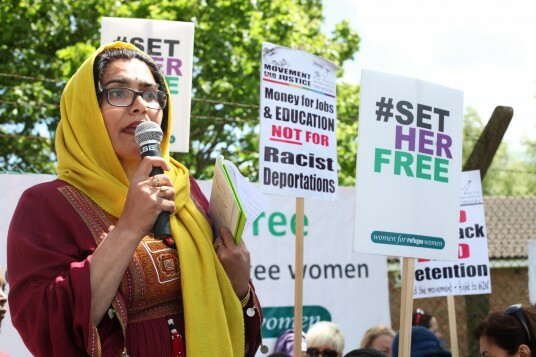 Please contact your MP, ask for a meeting to discuss why you support the women in Yarl’s Wood and ask them if they will support this debate by coming into the chamber for it and speaking up for an end to the indefinite detention of those who cross borders. We will let you know as soon as we have a date for this debate.